In many B2B business sales situations, cost isn’t the primary selling point – often, a salesperson’s speed and product knowledge win the day; we all know customers who can’t quickly and easily find products on a site won’t hesitate to buy from a competitor who makes their shopping easier. Therefore, your sales reps will boost business when you optimize their ability to find parts on your eCommerce website. And, like customers, they’ll also leave for competitors if your site isn’t user-friendly – they have sales businesses to run and can’t waste time on endless, complicated searches that yield few revenue-generating results. You lose money in overhead as well; when people can’t find parts on your website, they’ll call your support team and your employees will waste valuable time searching for parts information in multiple back-end systems. When designed correctly, an eCommerce site can increase the volume of parts your sales reps can sell and improve their ability to compete. You need an eCommerce front end that can manage and display SKUs (and related data) for hundreds of thousands of parts. In addition, each part’s product data must be updated continuously across all product lines. If not, sales reps won’t trust your website and will call your support team to confirm information. That does not mean, however, that your eCommerce platform should be solely responsible for storing and updating all the part and product data required by sales reps. The most successful eCommerce strategy is to integrate your ERP data and eCommerce site via APIs that synchronize information between the two platforms. With your ERP and eCommerce platforms synchronized, sales reps get everything they need without assistance. For example, the eCommerce website of Steele Rubber Products, which carries over 11,000 car parts, allows sales reps to enter the year, make, model, and style of a car, and then pulls product information directly from Steele Rubber’s Syspro ERP, resulting in a virtual custom catalog for each search. While many traditional eCommerce platforms use APIs, most don’t continuously update product data, inventory levels, and other critical ERP system data. To ensure you leverage ERP correctly, you need a modern eCommerce system that seamlessly shares data via APIs and ERP maps. For continuous and seamless ERP-eCommerce synchronization, ERP processes and functionality (including third-party customizations) should always be reflected in the eCommerce system. 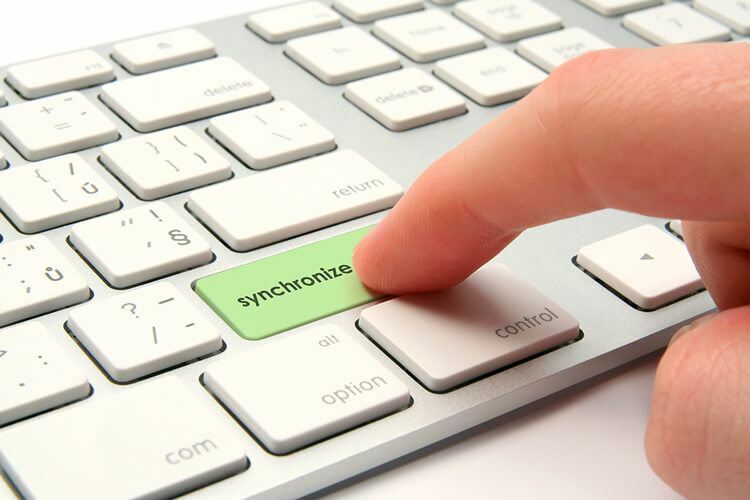 Isn’t It Time to Sync Your eCommerce and ERP? As eCommerce sites grow in popularity among B2B companies, sales reps must provide higher value-add to maintain strong customer relationships and increase revenue. By helping them with an eCommerce site that richly reflects a wealth of parts data, you can help reps sell more products on your behalf. 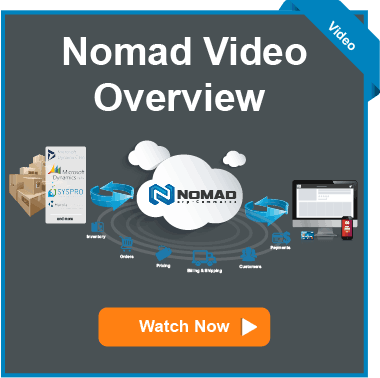 Contact Nomad today – we can show you how it’s done.